**Advance registration is strongly encouraged; walk-ins will be permitted at $25.00 on the day of the event. Sponsorship opportunities are available for this event. Please click here for additional sponsorship information. You may register for these by clicking the register button on this page. 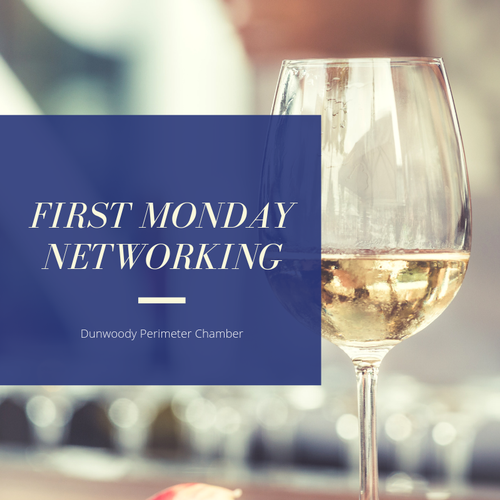 Join the Dunwoody Perimeter Chamber on Monday, May 6 from 5:30pm to 7pm for our monthly First Monday Networking event at Atlanta Marriott Perimeter Center. 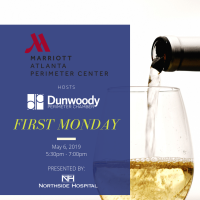 This exciting monthly networking event will also afford attendees the opportunity to network with other business leaders throughout the Perimeter Market while enjoying wonderful appetizers and cocktails (beer or wine) at Atlanta Marriott Perimeter Center.